UC Merced Electrical Engineering and Computer Science graduate student Yijun Li was recently selected as a 2019 Facebook Fellowship winner. The Facebook Fellowship program is designed to support promising doctoral students engaged in innovative and relevant research in computer science and engineering. This year’s cohort’s research topics spanned research areas from applied statistics to security and privacy. The fellowship begins in Fall 2019 and will support Li up to two years. Li, a Ph.D. candidate in Professor Ming-Hsuan Yang’s Vision and Learning Lab, is one of 28 fellowship recipients chosen out of more than 900 applications from all over the world. Li previously received a Snap Inc. Research Fellowship in 2017 and Adobe Research Fellowship in 2018. 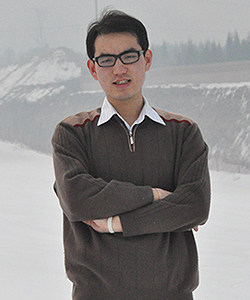 Li’s research focuses on visual synthesis for natural image and video editing. The goal of his work is to develop effective computational models to facilitate more realistic and stunning creations, which will bring brand new user experiences and transform the ways people communicate and collaborate. He has explored four different topics: image enhancement, completion, stylization and video prediction. Li received his master’s degree from Shanghai Jiao Tong University and bachelor’s degree from Zhejiang University in China. In addition to the stipend, all fellows and Emerging Scholars are invited to the Fellowship and Emerging Scholar Summit at Facebook HQ in Menlo Park this fall to facilitate communication with other researchers in the computer science and engineering field. “This support and collaboration is very important to my future research,” Li said.